Interested Candidates are invited to submit their application with details resumes stating current & expected salary with their availability along together with a recent photo attach in their CV, and email to (hr.mulufrontier@gmail.com) Tel:+6085-406062, Fax:+6085-406061. The candidate shall be responsible in managing the overall WORKS. The candidate must be engineering graduate degree with minimum 10 years working experience in engineering and construction of oil and gas facilities in general, and in engineering and construction of offshore platforms, in particular. He/she must held the position of Project Manager for at least 2 similar projects. He should have the ability to manage interfaces between various project phases including design, procurement, construction, offshore transportation & installation, hook-up and commissioning. He should also have the ability to organize and direct construction management activities so as to meet the schedule, quality and safety requirements of the projects. The candidate shall assist the Project Manager in execution of the WORKS. The candidate shall possess a recognised B.Sc. or B.Eng. degree in a relevant branch of engineering with at least eight (8) years of relevant experience in supervision and fabrication works of similar oil and gas offshore substructures and topside facilities. Project Engineer shall be full time dedicated to the project. He should have ability to organize and direct all activities pertaining to the WORKS so as to meet the schedule, quality and safety requirements of the project. He shall lead the Fabrication Team. A graduate degree/diploma/certificate in Engineering and minimum 15 years experience in fabrication/construction of offshore platforms and facilities. He must have managed at least two (2) similar projects involving fabrication of major substructures and topsides. He should have ability to lead the fabrication team, organize and direct all activities pertaining to the fabrication works so as to meet the schedule, quality and safety requirements of the project. He shall lead the Engineering Team. A graduate degree in Engineering and a minimum of 10 years of relevant experience in Engineering and Design work associated with oil and gas projects including engineering and design of offshore platform and facilities. He should have ability to recognize and direct all activities pertaining to the design works so as to meet the schedule, quality and safety of the project. A graduate degree in engineering and have minimum five (5) years of working experience as a project planning in construction for onshore/offshore oil and gas facilities. He must possess a degree in any engineering disciplines or equivalent professional qualifications. He must be familiar and know how to operate the planning in software system, e.g Artemis 7000/Primavera Version 6, for planning and scheduling. He should be able to understand the sequence of offshore platform fabrication including offshore hook-up and commissioning activities to ensure that the manpower planning is sufficient at all levels of project execution. He shall be able to effectively coordinate various disciplines as well as produce progress reports and all the other planning documents and reports. Minimum five (5) years of working experience as a Contract Engineer/Administrator in fabrication/construction of onshore/offshore oil and gas facilities. He must possess a degree in engineering, quantity surveying or other relevant degree. He must well versed in contract administration and able to prepare progress payment claims, submission of proposals, etc. Engineering graduate or equivalent/relevant degree with a minimum of 10 years working experience in the engineering and construction of oil and gas industry, particularly in the offshore platforms and facilities projects. He should be familiar with welding, non-destructive testing and relevant Codes and Standards. He should be able to plan, organize, coordinate and delegate the workforce for the execution of quality control and inspection. A graduate in degree in engineering and have a minimum eight (8) years of working experience in QA/QC functions in construction of onshore/offshore oil and gas facilities. Knowledgeable in welding and NDT, AWS/ASME/ANSI Codes and other industry codes and standards including oil company engineering specification and basic practices. He must have experience in similar capacity and capable of developing and implementing the QA/QC Plan effectively. Candidate shall be a degree holder with a minimum of eight (8) years working experience in construction of onshore/offshore oil and gas facilities and/or petrochemical plants. He must have DOSH certification and have sufficient training in industrial health and occupational safety. He shall lead the procurement Team. At least a degree holder with a minimum of eight (8) years experience OR diploma with minimum of 10 years experience in procurement for oil and gas projects. Candidate must be familiar with PETRONAS procurement process and must be well versed with customs requirements on importation of materials and equipment for similar projects and has handled procurement of materials of similar magnitude and complexity. He should have ability to organize and direct all activities pertaining to the procurement works so as to meet the schedule, quality and safety requirements of the project. 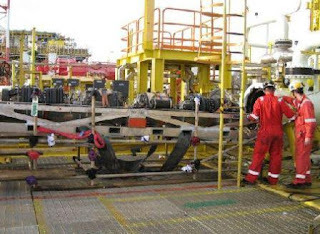 A graduate degree in Engineering with minimum ten (10) years experience in oil and gas offshore platform hook-up works. He/she must have held the position of Hook-Up Manager for at least 2 similar projects. He should have ability to plan, organize and direct all activities pertaining to the hook-up works so as to meet the schedule, quality and safety requirements of the project. A graduate degree in engineering with minimum ten (10) years experience in oil and gas onshore and offshore commissioning works. He/she must have held the position of Commissioning Manager for at least 2 similar projects. He should have ability to plan, organize and direct all activities pertaining to the commissioning works so as to meet the schedule, quality and safety requirements of the project. Lead Engineers - Possess recognized B.Sc. or B.E degree in a relevant branch of engineering, be a Professional Engineer and registered with Board of Engineers Malaysia (BEM) or recognized International Institution, with at least ten (10) years of relevant experience in project planning, supervision and design work associated with offshore oil/gas production and processing facilities or other branch of engineering as appropriate. Lead Engineers (Structural, Mechanical/Piping, Process, Electrical, Instrument Telecommunication, pipeline) shall be full time dedicated to the project. a. All Lead Engineers shall have an experience in designing of major offshore structure and facilities. b. All designs/drawings are required to be endorsed by either Lead Engineers or any other Professional Engineer who are recognized by the BEM. c. All electrical plan, drawings and specifications are required to be endorsed by a Competent Electrical Engineer who is registered with the BEM as professional Engineer as stipulated in Part VI, Regulation 65, Electrical Supply Act 1990. (if applicable). Senior engineers- (structural, mechanical/piping, process, electrical, instrument, telecommunication, pipeline) each candidate must possess recognized B.Sc. or B.E degree or similar qualification in a relevant branch of engineering with at least eight (8) years of relevant experience in engineering and design of substructures and topsides facilities. Engineers-( structural, mechanical/piping, process, electrical, instrument, telecommunication, pipeline) each candidate must possess recognized degree or similar certification in a relevant branch of engineering and registered with Board of Engineers Malaysia (BEM) or recognized International Institution as member, with at least five (5) years of relevant experience in the engineering and design of substructures and topsides facilities. Design Coordinator possess recognized diploma/certificate in engineering or similar qualification with at least fifteen (15) years of relevant design/drafting experience in the engineering and design of substructure and topsides facilities. Designer – possess recognized diploma/ certificate in engineering or similar qualification with at least ten (10) years of relevant design/ drafting experience in the field of oil and gas. Senior Draftsperson- possess recognized diploma/ certificate in engineering or similar qualification with at least eight (8) years of relevant design/ drafting experience in the field of engineering. Draftsperson - possess recognized diploma/ certificate in engineering or similar qualification with at least three (3) years of relevant design/ drafting experience in the field of engineering. At least a degree/diploma holder and have a minimum five (5) years experience in related fields of procuring equipment, materials and services for oil and gas projects. Shall be familiar with technical terms and requirements. Diploma in any engineering disciplines or equivalent professional qualifications. Minimum five (5) years experience in related fields of materials management, purchasing, expediting, supply, distribution, transportation for oil and gas projects. He should have ability to identify various offshore materials and equipment. He should be familiar with materials tracking records and reports and shipping and Customs documents such as Custom Form C3, Bill of Lading etc. Diploma in any engineering disciplines or equivalent professional qualifications. Minimum five (5) years experience in related fields of materials management, planning, inventories and purchasing for oil and gas projects. He should have ability to identify various offshore materials and equipment. He should be familiar with materials tracking records and reports and shipping and customs documents such as Custom Form C3, Bill of Lading etc. A graduate degree in engineering and have a minimum ten (10) years of working experience in construction works for onshore/offshore oil and gas facilities with minimum two (2) projects. A High School certificate holder with a minimum 15 years of direct experience in the fabrication of substructures and topsides facilities. Must possess strong leadership skills and hand-on knowledge in structural fabrication and mechanical/equipment installation work. Must be safety conscious and proficient i daily planning and look-ahead activities and can effectively work to meet the project schedule. A graduate degree in engineering and have a minimum eight (8) years of working experience in construction supervision works for onshore/offshore oil and gas facilities with minimum two (2) projects. Must possess strong leadership skills and hands-on knowledge in fabrication and installation activities in the yard. Must be safely conscious and proficient in daily planning and look-ahead activities and can effectively work to meet the project schedule. He must be familiar with the construction aspect in the discipline under his charge. A trained, individual with a minimum ten (10) years experience in supervising load-outs of large facilities (modules, decks, jackets, etc.) for offshore oil and gas production platforms. Must be very knowledgeable of all rigging tools and equipment used to conduct load-outs. Must be an engineering graduate (Metallurgy or Mechanical) with a minimum eight (8) years welding engineering experience in the construction of oil and gas facilities. Must possess expertise and hand-on knowledge in developing the WPS, WPQT and WPQR. Experience in NDT interpretation and requirements. Must be knowledgeable of AWS/ASME/ANSI Codes and other applicable industry codes and standards including typical Oil Company engineering specification and basic practices. Minimum five (5) years of working experience as a Quantity Surveyor in fabrication/construction for onshore/offshore oil and gas facilities. Must possess a degree in Quantity Surveying or relevant engineering degree/ professional qualifications. He should be able to prepare Change Order Proposals, payment Claims, etc. Minimum five (5) years of working experience in offshore oil and gas facilities projects. Must be proficient in preparation of detailed planning packages/works packages (including job card system), and performing progress measurement and monitoring. Must be knowledgeable and proficient in the use of standard software programs used in developing bar charts, CPN and S-Curve schedules. Minimum 5 years experience in field administration of contract, cost control and charges preferably in oil and gas projects. A diploma/certificate holder and have a minimum five (5) years of working experience as a safety officer in construction supervision for onshore/offshore oil and gas facilities. Must possess valid certification/card to work as SAFETY OFFICER as required by DOSH. He should appraise the working condition and provide continuous surveillance to ensure conformance to safety requirements. Requirement for electrical personnel shall comply with Electricity Supply Act 1990 (ACT 447) and Electricity Supply (Successor Company) Act 1990 (ACT 448) & Regulations and Rules. Graduate in surveying with five (5) years working experience in related discipline with minimum three (3) years as Dimensional Surveyor. Must have work in similar fabrication of offshore platform and facilities. A high School Certificate holder with a minimum 15 years of direct experience in construction works for offshore commissioning work and must has managed at least two (2) offshore hook-up and commissioning project. Must possess strong leadership skills and hand-on knowledge in offshore hook-up and commissioning. Must be safety conscious and proficient in daily planning and look- ahead activities and can effectively work to meet the project schedule. A graduate degree in Engineering and have a minimum ten (10) years experience in oil and gas facilities. Must have at least five (5) years experience in offshore commissioning work and must has managed at least two (2) offshore hook-up and commissioning projects. He should have ability to organize and sequencing of all activities pertaining to the hook-up & commissioning works so as to meet the schedule, quality and safety requirements of the project. A graduate degree in Engineering with at least eight (8) years of working experience in commissioning work on offshore production platforms, chemical plants, petroleum refineries, gas compression facilities or other related petroleum processing plant. He should be able to plan, organize, coordinate as well as delegate the workforce for the successful completion of the project. Minimum eight (8) years of working experience in commissioning works for onshore/offshore oil and gas facilities. Must possess strong leadership skill and hand-on knowledge. Must be safety conscious and proficient in daily planning and look-ahead activities and can effectively work to meet the project schedule. Electrical supervisor shall be competent person as defined by Electricity Supply Act 1990 (ACT 447) and Electricity Supply (Successor Company) Act 1990 (ACT 448) & Regulations and Rules with minimum three (3) years experience in oil and gas industry. Minimum five (5) years of working experience as a safety officer in construction supervision for onshore/offshore oil and gas facilities. Must possess formal qualifications. He should appraise the working condition and provide continuous surveillance to ensure conformance to safety requirement. Minimum five (5) years of working experience in material commissioning works for onshore/offshore oil and gas facilities.